BETTER TASTE: Utilizes barometric pressure to provide a smoother, softer taste to any wine, increasing the overall value of your wine. 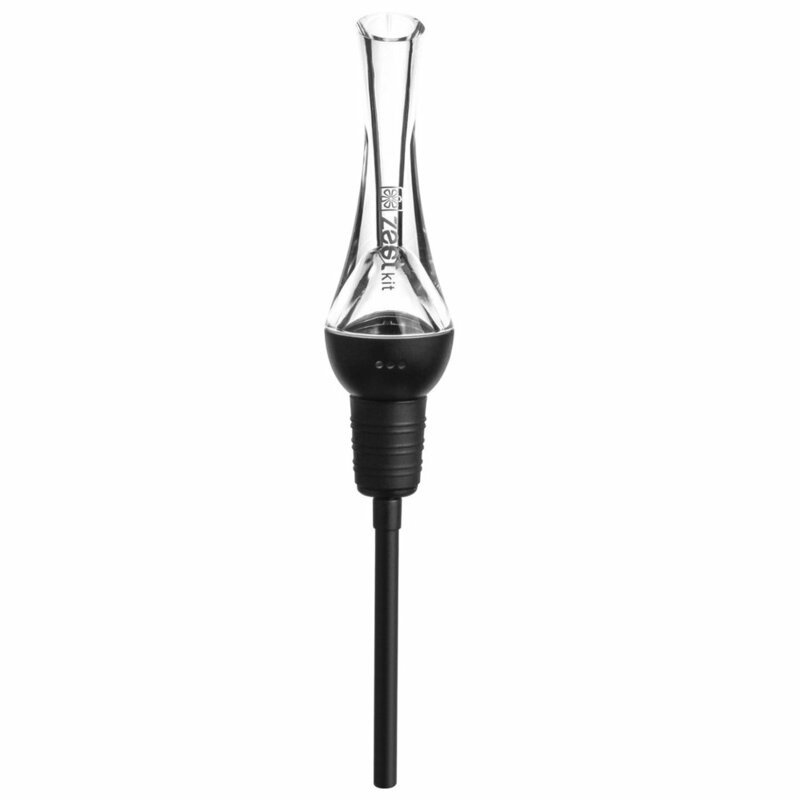 NO WAITING: Directly fits into any wine bottle for instant aeration, so you don't have to wait for the perfect taste. 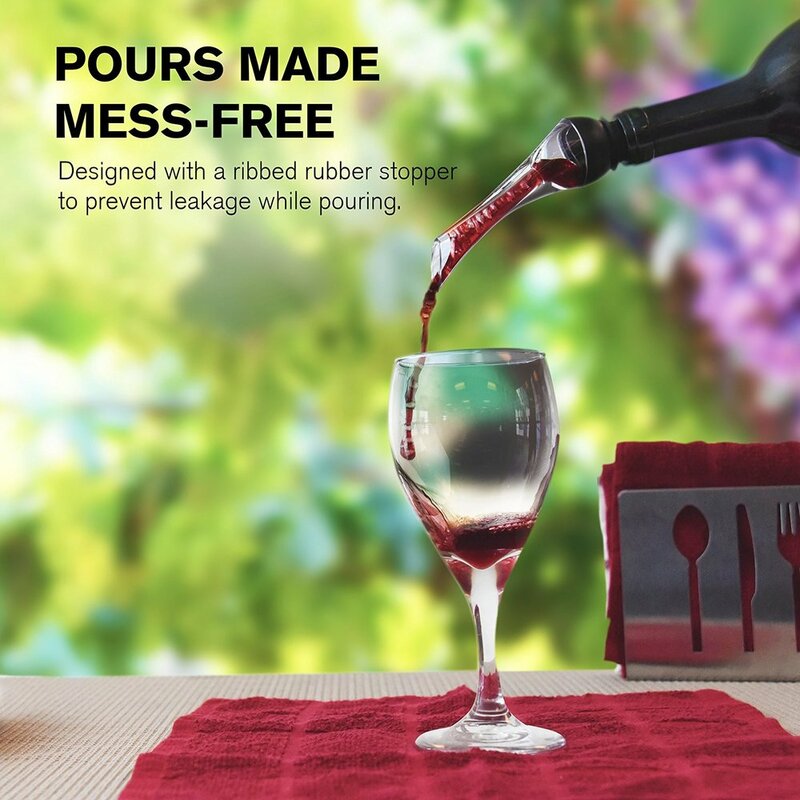 MESS-FREE: Designed with a ribbed rubber stopper to prevent spilling or leakage while pouring. EASY CLEANING: Simply recork the bottle to preserve your wine for later enjoyment. The aerator is easy to disassemble for cleaning. WARRANTY: If you ever encounter a problem with this top of the line wine aerator, simply return it for a replacement or your money back. 1 Year Warranty. A perfect gift for any wine enthusiast, Zestkit's wine aerator provides instant decantation for a smoother and softer taste for any red or white wine. 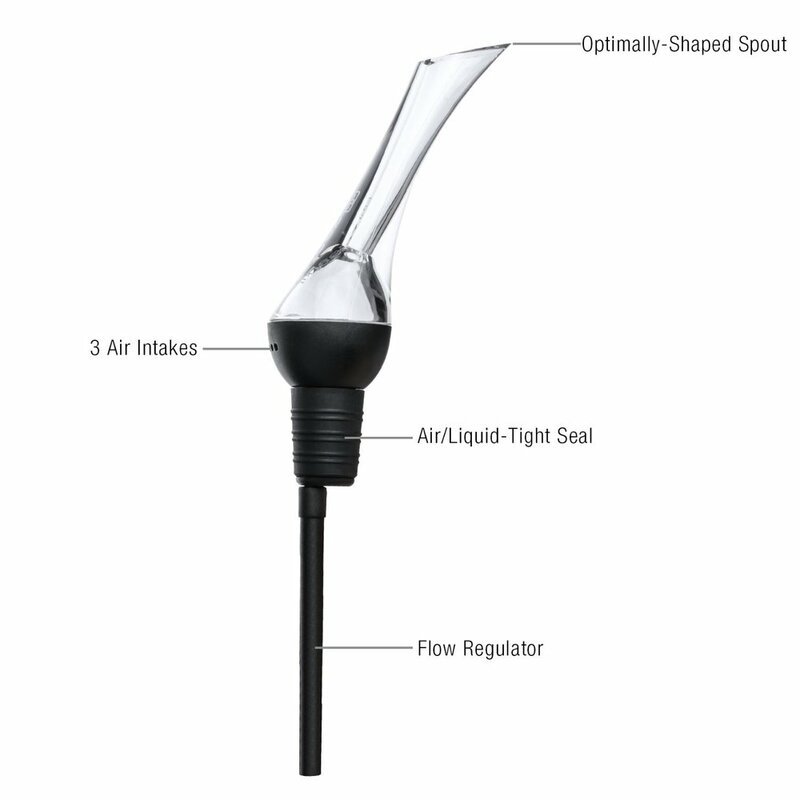 With simple barometric pressure, the wine aerator allows air to naturally oxidize the elements in your wine to create a better taste. There's no waiting necessary. 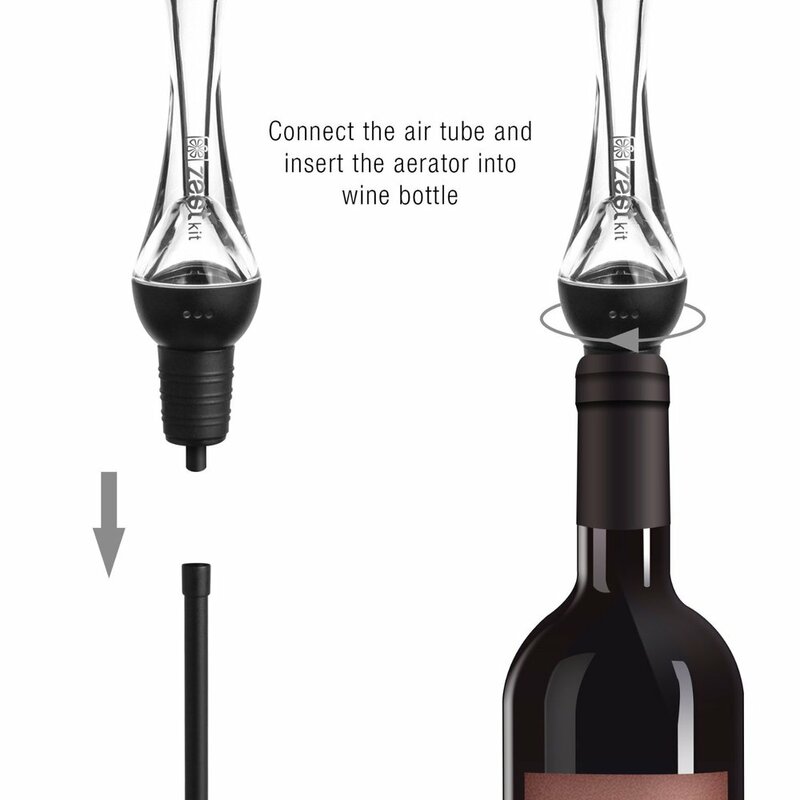 Simply apply the aerator to any wine bottle and pour. 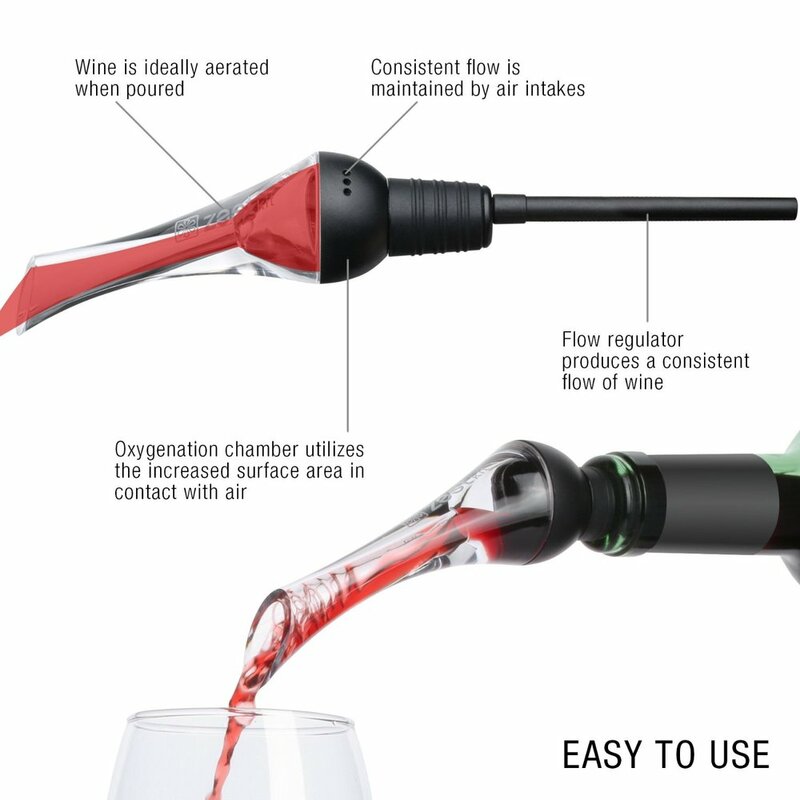 The aerator will instantly allow your wine to breathe as it flows through the aeration chamber, through the spout, and into your sparkling glass. The aerator is designed with a rubberized drip-free seal so you never have to worry about making a mess while serving your favorite wines. If a wine bottle is left unfinished, simply remove the aerator and recork your bottle instead of letting it go to waste over time in a decanter. Give your wine a taste that's twice as expensive as what you've paid for and bring value to your wine collection.